There's still a place in your home (and heart) for the old-school menorah that Bubbe brought over from Europe, but these sleek centerpieces are perfect for those looking to create new holiday traditions. In materials ranging from clear acrylic to polished nickel, here are eight modern menorahs for a stylish Hanukkah. This modern menorah is made with see-through acrylic and accented with silver metal holders. 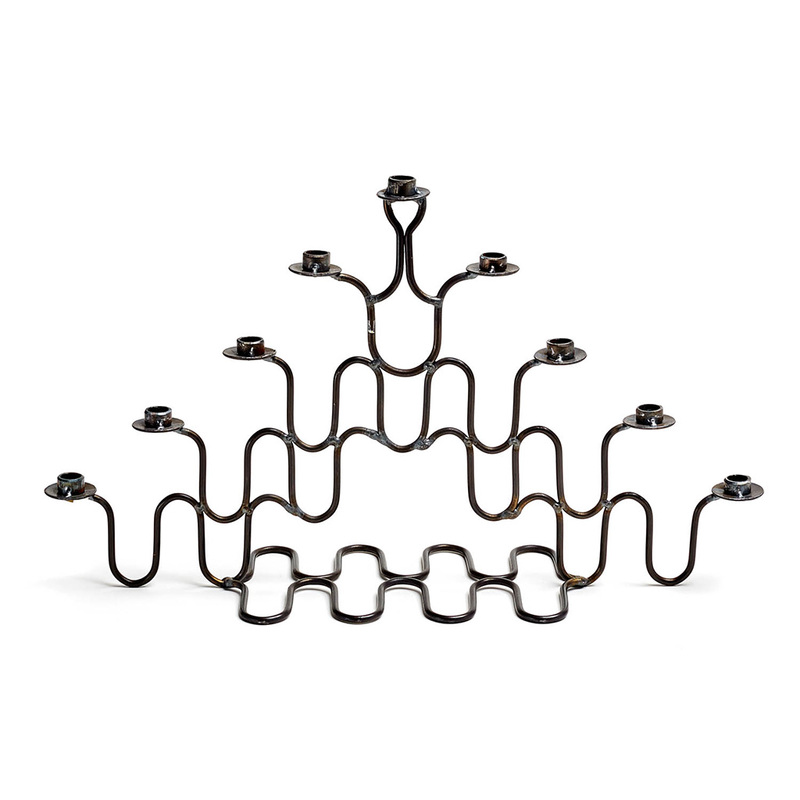 Made in Brooklyn and inspired by molecular forms, this unique menorah is so cool you will want to have it on display all year round. Sleek, hand-welded, polished nickel is perfect for minimalist décor. This retro menorah is made with walnut and adds a touch of sophistication to the holidays. Handmade from recycled metal, no two menorahs are alike. Antique bronze branches create a rustic candelabrum for Hanukkah. Candles burn bright with this already-lit decorative menorah. Set these brass placecard holders out for your holiday feast.